Today at the Hero Summit, an invitation-only “theatrical-journalism event’ being covered by The Daily Beast, screenwriter Aaron Sorkin made some comments about the upcoming Steve Jobs movie based on his official biography by Walter Isaacson. According to the interview from Hero Summit, the movie will take place as three 30-minute scenes that take place in real-time. Each of the scenes will be set backstage at an Apple product announcement. Of course, the movie is still in the early stages of development, so this could definitely change, but the possibility is intriguing. Which products will be featured? The original Mac, NeXT and the iPod. Presenting the movie as scenes from back stage at product events raises some interesting questions. The drama would likely be high at each of these events as well. All of the Apple lieutenants like Schiller, Forstall and more would be in attendance obviously, so he could explore their relationships with Jobs. Sorkin’s habit of focusing on the relationships between characters through patter and repartee should be well served by a focused scenario with heightened emotions. There will no doubt be many walk-and-talk segments. Sorkin hopes to end the movie with the text of the ‘here’s to the crazy ones‘ ad. 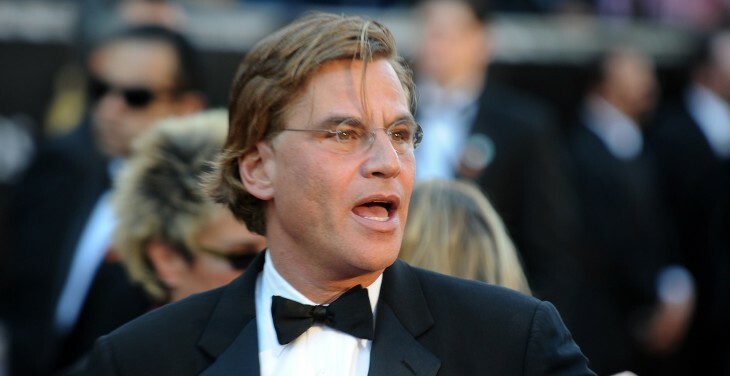 Sorkin is writing the screenplay for the movie, which will be produced by Sony Pictures. Sorkin wrote the screenplay for The Social Network, an Academy Award-winning film about the genesis of Facebook.